A completely redesigned series of Flat folding tripods has been introduced by Benro. The new series discriminates from the old one by a 2 at the end of the code name e.g. C2182T instead of C2180T. But this is a minor detail to the whole lot of changes. 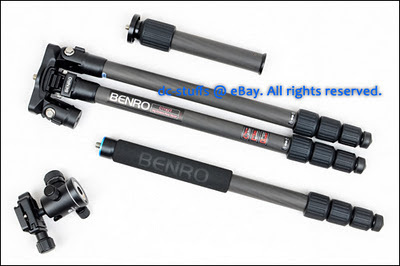 Now the new generation not only can fold flat to a mere 5cm for packing in a suitcase, but has three position leg angle adjustment permitting a lowest position of 13,5cm (w/o ball head) for macro or wild life shooting, a monopod function by detaching one of the legs, a detachable and extensible center column which can be either used on the tripod or the monopod for height extension and a foam grip around the removable leg. One of the legs is now covered with a foam grip and can be unscrewed from the hub for use as a monopod. The leg hub is completely redesigned, more solid than the previous version with three stops for leg angle adjustment. The top plate is also changed, now completely flat, with an embedded plastic disk protecting the ball head and a big spirit bubble level on one side for tripod leveling. 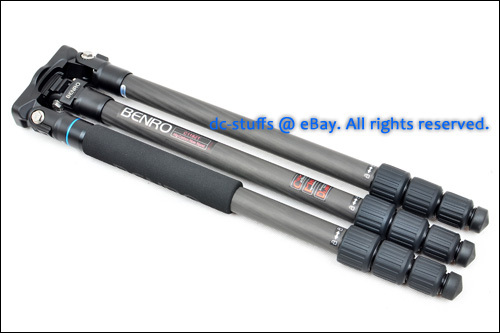 The Benro 2nd generation Carbon Flat series tripods come with a nylon padded carrying case, a wrench and 3 stainless steel spikes for muddy or rocky terrain. 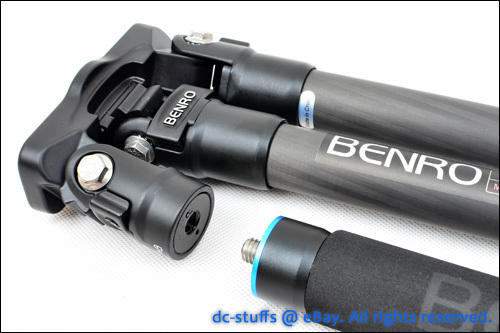 Until I get one for a hands on review in order to check its stability and rigidity, and as it is not included in any of the Benro sites yet, you may find full details for the usage and specs of the new generation of Benro Flat tripods at D.C. 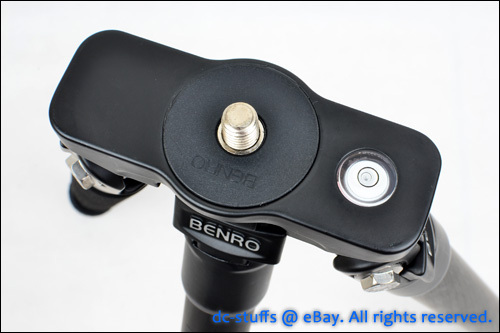 Photography Reviews blog as well as at DC's Photo Suff under the Benro Tripod section extensive listings. I hope you found the article interesting, thank you for viewing.